Yes, it's true, we've whooshed around again! Already! I should squickly tell you that my former office did a bang-up job of sending me off with love and affection. Luckily I am dear friends with almost all of them after all these years so I'll still be popping in to visit every now and then. More importantly, the Mister and I had a wonderful anniversary celebration which will continue through the long holiday weekend! At our age we like to celebrate with Gusto and, of course, his wife Merry. I'm going to try and schedule a post, maybe for Sunday. Once again, please forgive me if I don't get by to visit for a few days because of all the festivi. Thank you all for your best wishes for both happy events!! It's time for my very first Friday random "copyliment" of CASEing (CASE: copy and share everything) a card made by one of my beloved followers. I shall call them DJKASEs and they will be numbered like fine wines and NBUSes. Aren't you becited? Isn't it gorgeous? Because Lin's card was made in the fall and used fall colors, I changed it to reflect wintertime. The evergreen stamp is from a Hero Arts set called "Needles and Cones" and the NBUS sediment is from a PTI set called "Bigger Blooms." 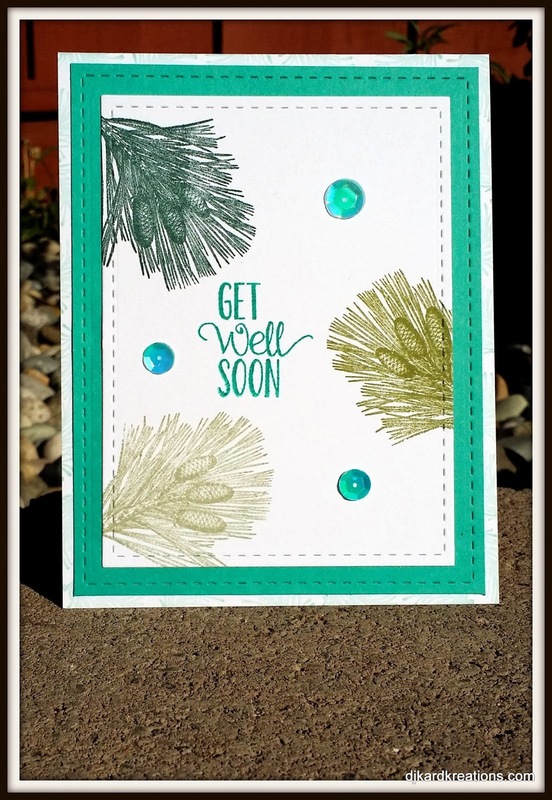 I used a smaller SU pine needle stamp to make the background design on the card base. All the ingredients are listed below. Lin, I hope you are pleased. Thank you for following and leaving me supportive and sweet comments! 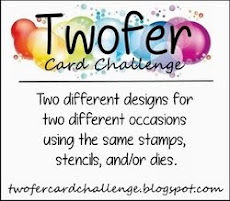 I'm going to link my card with the current challenge of "Anything Goes" over at Simon Says Monday Challenge. The link will take you to all the fine print details and I hope you can join in! Okay, I made up the word copyliment and now I have another new word for you. I don't know who coined it, but I know a lot of us resemble this remark! Now I'm the last person on earth to criticalize anyone's grammermama, but wouldn't it flow better through your brain pipes if it read: "The inability to start something until you've had a cup of coffee."? Either way, it's true that! As always, thank you for coming by to visit the Playhouse and special thanks to you if you take the time to leave a comment and/or join as a follower! Please let me know you came by, so I can be sure and return the flavor. sediment is PTI "Bigger Blooms"
Accessories Die: Lil Inker "Stitched Rectangles"
Best wishes for your anniversary celebrations and I hope you have a happy and enjoyable retirement. Again, congrats on both events. Hope you have much more enjoyment to come! And your DJKase is fabulous! I'm willing to bet Lin's extremely pleased! Oh my gosh, from Lin's beautiful Fall card to your beautiful wWnter card. I'm sure Lin is pleased as punch with this beauty. I LOVE it!!!! I also love sequins on cards. So glad you had a wonderful anniversary and it is so nice to continue your festivities all weekend. Have a blast and then some. When you said 'festivi', it reminded me of a Seinfeld show that was all about Festiva. HA Loved watching Seinfeld. My PROCAFFINATING (hope I spelled that correctly) is done with Diet Dr. Pepper. Love the smell of coffee but the taste sends me into a face scrunching. Just can't take it. Wish I could. I almost envy you coffee lovers. Hi Darnell!!! Wow, congratulations on your retirement - it's wonderful that you are still close with your former colleagues so you can still stay in touch. :) Secondly (and more importantly) - Congrats to you and the Mister on your anniversary! Gorgeous DJKASE! I love your spin on Lin's gorgeous card. And you totally rock - I just love your way of thanking your followers. You are amazing! Have a great weekend! I'm off to sip my hot tea and relish a four day weekend... No caffeine for this gal - coffee is not my thing but I do love my vanilla steamed milk, specialty teas and hot cocoa! Haha love the sign!! Enjoy your anniversary celebrations well into the wee hours of your holiday weekend!!! Perfect CASE on Lin's card, love it! Lin's card is stunning as is your DJKASE of it. I love the colours and the stitched rectangles. I have retirement envy now! Happy no-having-to-go-to-work-for-anyone-but-yourself-or-family-for-which-you-don't-earn-pennies!! Lovely card there both the case and the casee! Hugs from me who can nearly smell the weekend! Congratulations to you and Mister! 43 years is quite an accomplishment and well worth celebrating several days! Happy retirement! I am sure they will miss you! But you will have more time in the playhouse, yeah! Great first DJKase! Looking forward for more! Now, go back to celebrating! It sounds like you've already started celebrating! There's lots of fun places to visit so I'm sure you'll have a wonderful weekend. Your take on the card is great. I like the font on the stamp. Beautiful card Darnell! Love those big sequins you added too. Hope y'all have a fun and fantastic weekend! Lots here to comment on: Happy Anniversary! and Love your "Don't Want To" Badge, and love your DJKASE card (did I get that abbrev right? )Those colors are stunning! Retirement is grand! Been there for a few years. NO Trade-ins. It's a keeper. Congrats. Gorgeous card and love the beautiful colours. What a wonderful CASE of Lin's beautiful card! I LOVE the colors you've used! Have fun! I love the "retired" sign. It reminds me of my husband's tee shirt that says "I'm retired. This is as dressed up as I get." You did a great job CASEing Lin's card. As for procaffinating, I'm not a coffee drinker so it doesn't apply. I'm so glad you had a great time at your retirement party, and I LOVE your new parking tag :-) Congrats again, and I hope you and Mister have a wonderful celebration this weekend! Such a beautiful CASE of Lins card, Darnell! I love the color combo and the stitched mats are just perfect with the needles and cones! And...thanks so much for contributing to the advancement of my vocabulary...you are too funny!!! Hi Dippy, so glad your colleagues gave you such a great send off but I'm sure you will be sorely missed. Great to hear that you and Mister are having great anniversary celebrations and am sure you're awaiting the arrival of the rest of the family with great anticipation. Fab caseing of Linda's card, great colours and love the L'Inker stitched rectangles (I've just got my delivery of their stitched circles!). And now you can tell that I'm definitely procaffinating so just off for my daily infusion.....! Great take on the card, love the colours. Computer all sorted and back to business as usual, thanks for your lovely comment and I hope you enjoy your retirement as much as I am enjoying mine. 4 years now, will be 65 next Thursday and to quote a certain person it certainly is later than you think. Happy Anniversary too, we are 45 years i April, so you are still a young kid compared to me. Congratulations on your anniversary and thanks so much for showcasing my card and casing it on your fist DJKase. Yours is beautiful and I love the colors.... Thanks again. Many congratulations again on your anniversary, I hope you have a wonderful long weekend. I have had my 'once a year' glass of wine tonight to toast you both. Here's to many more happy years! First, congratulations on your anniversary! Love both cards, yours and Lin's! Great colours! Darnell, I am sure you have NO idea how much JOY you brought to my BFF, Lin for casing her card as your first DJKase! Your take is just as wonderful. Congratulations on both the anniversary of your wedding, but also your retirement!! Yeah, let the card making begin!! I love your new word "copyliment" and I think it is what most of us mean when we CASE something--it's meant as a compliment, not a theft! I am enjoying my day and my beverage... the ladies in the office next door brought me a hot tea because I cough so much they worry about me. It was nummy. I like your wintery 'get well' card scene. Nice colors and I like the timely touch of sequins. Both cards are great! Great case! You honored Lin for sure! Congratulations! Love the coffee quote! 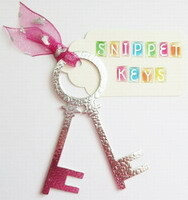 Also what a great idea to case one of your followers - nifty idea and yours is a wonderful case! Oh wow! Fantabulous case of Lin's card! 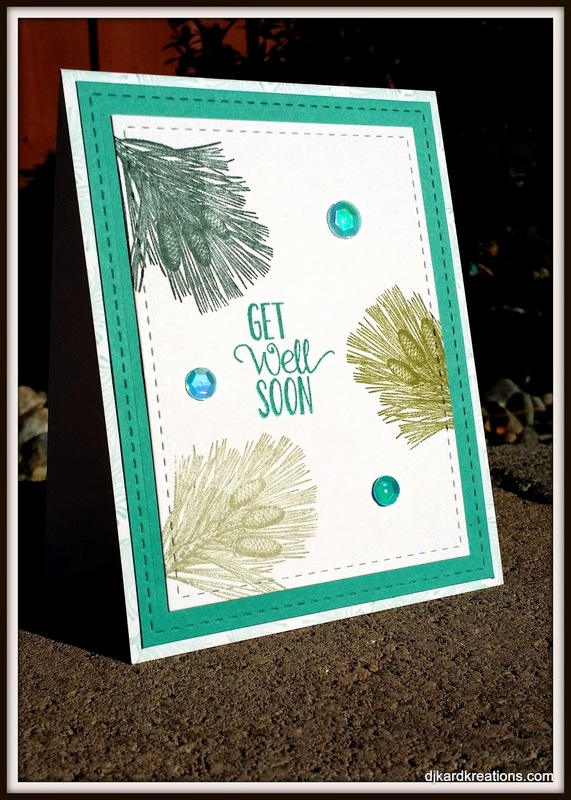 Love the pine bough stamp and the aqua color! Love the retirement swag you show in the first photo! LOL! Carry on with the festivus with Gusto and Merry! Loved your idea of Casing followers when I first read it. Can certainly see why you picked this one to start--love both versions of that great design! Loved the idea when I first saw it & what a great start! Love both versions, Darnell! Glad to hear that you two lovebirds had a fabulous honeymoon...ooops, I mean anniversary!!! And that your co-workers showered you with tons of love and farewell kisses! And yes, your grammermama version definitely rolls off the tongue (and on to the chin) much better than 'theirs'!!! And now your card - STUNNING to the nine millionth degree! The three shades of green look magnificent with the Kelly/aqua green (or did I miss the color again?) Either way - fabulously gorgeous card and a beautiful CASE of Lin's card! Congratulations on your retirement. You are going to love it. I bet you will wonder where all your time is going to as well as how did you ever do what you did when you worked. Great casing of the card too! Happy Anniversary and congrats on retirement too! So fun to do what ever you want and when ever you want, can't wait! Your card is just so sweet and I love your new challenge, cas'ing your followers, that should only take you a few years right? Fabulous card sweetie! Terrible time with blogger right now--in case my comment isn't here, I'm leaving this one to say Happy Anniversary! Love your card & love the picture of you & hubby! This is a fabulous CASE - I love this card. Your use of colour is very striking. Have a fabulous weekend. Congrats! Lovely card, the colours and stamps you used are gorgeous. 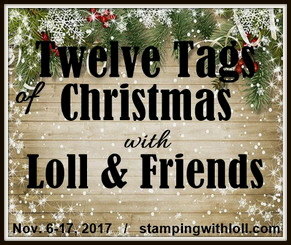 Thank you for sharing with us at Simon Says Stamp Monday Challenge Blog! I still meet up for a coffee with an x workmate who is just as batty as me. Hugs Mrs A.
p.s. Just printed off the J.J digi for my February calendar. She looks remarkably like a photo of me taken when I was 3yrs. Same bow same hair style!! I love Lin's cards & follow her, and I especially loved your take on it, you clever Wordster, you. Got my DJK chuckle for the day, and I hope you & Mr. are enjoying your long weekend. Say Hello to Merry & Gusto for me! TFS & Hugs, Hugs, and more Hugs. I am in love with the DJKASE idea, and what a bang up job you have done of copylimenting Lin's card! It's gorgeous...love that you changed up the colours to reflect a more winter feel! Have an awesome weekend with Mister! Don't do anything I wouldn't do...ha ha ha!!! Love your CAS(ed) card. The greens are really stunning. Love your CASE of Lin's card, Darnell! Sounds like your colleagues gave you a wonderful send-off. My retired motto is the opposite - Can If I Want! 2. Congrats on your anniversary. 3. Congrats on one great card after another. I love the green colors you've used for this card! Also it's a lovely CASE of Lin's card, I can clearly see you picked inspiration from her card, but you managed to make yours different in a nice way! Congrats on the anniversary! Glad your co-workers sent you off with FUN! Your card is a fabulous with the winter theme! Love how you CASE'd Linda's card ~ happy to hear you had a send-off and Happy Retirement! Love the Bermuda Blue matting (of course!) and that lovely pine cone stamp! Fabulous & fun case !!! With my fave colors, to boot!! 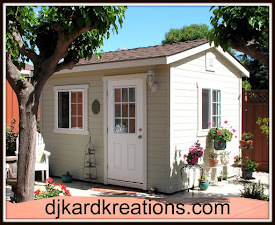 I'm so pleased that you will be home more w/ retirement & making cool schtuff in your playhouse!! Linda's card is gorgeous and so is yours Darnell. So lovely to see the two versions. A fab idea. Love the cards, Darnell, and of course that wonderful sign. And (notice I started my sentence with And), yes! it would read much better the way you wrote it. During a disagreement with her husband she told him to sit down they were about to have a "discussment." *hahahaha* I love that word and think it should be included in the dictionary. Hi Dolly. Gorgeous card and a lovely CASE of Lin's. Love the colors you've used - perfect for winter.